Posted March 5th, 2019 by Sandy Calderbank. 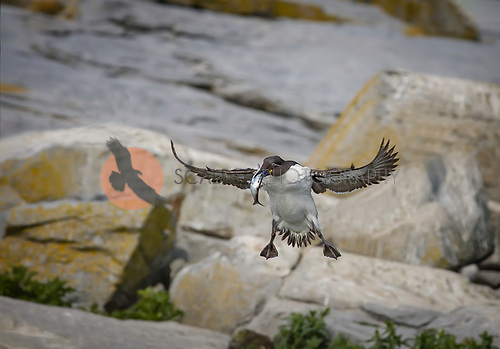 The Common Murre is known as the Thin Billed Murre in North America but they are also known as the Common Guillemot Uria aalge. They spend most of their life at sea, only coming in off the water to breed. This particular Murre is a Bridled Morph. It has a white ring around it’s eye that extends back as a white line. So this one is a bridled morph, thin billed murre, common murre and common guillemot……. Whatever they are called they are fascinating birds. They can dive up to 500 feet and “swim” in the water much better than they maneuver in flight. They don’t build nests. Instead they lay their egg on rocks or the ground or on a ledge. The egg is shaped so that it rolls in a circle instead of rolling over the ledge if it is disturbed! This is one interesting bird! Posted March 1st, 2019 by Sandy Calderbank. The Atlantic Puffin is also known as the Common Puffin but there is nothing common about this little bird. They are also known as Sea Parrots because of their colorful breeding colors. 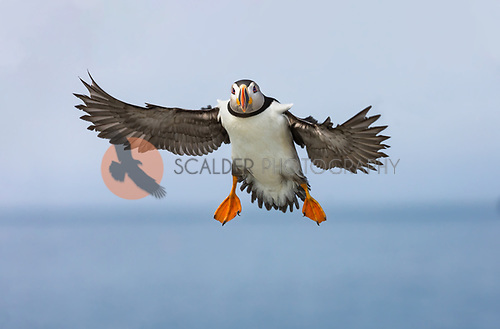 Atlantic Puffin are incredible fliers despite their short wing span. 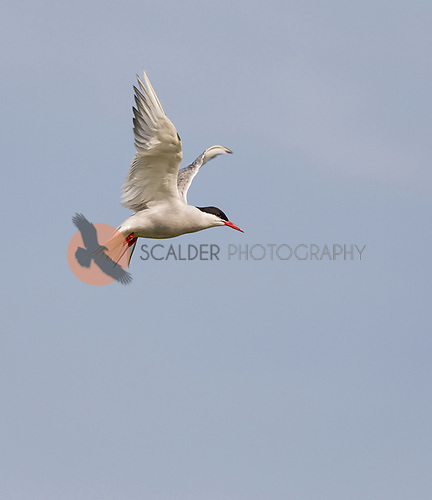 Because of their short wingspan they have to flap their wings 3-400 times a minute but can fly up to 55 Miles per hour! 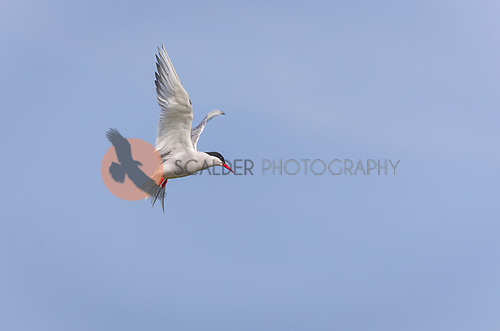 They are also excellent swimmers and can dive to around 60 meters and use their wings to fly through the water. I will never tire of watching these beautiful, colorful creatures but it takes effort and lots of planning to photograph them on Machias Seal Island. Posted February 3rd, 2019 by Sandy Calderbank. Atlantic Puffins are pelagic for most of the year, spending their time alone in the cold open northern ocean a long way off shore. They dig a burrow or tunnel on an island to lay their one solitary egg. Puffins only come onto land to breed in colonies, usually with the same partner in the same burrow, every spring and summer. They bring fish back to the burrows to feed the little “puffling”. 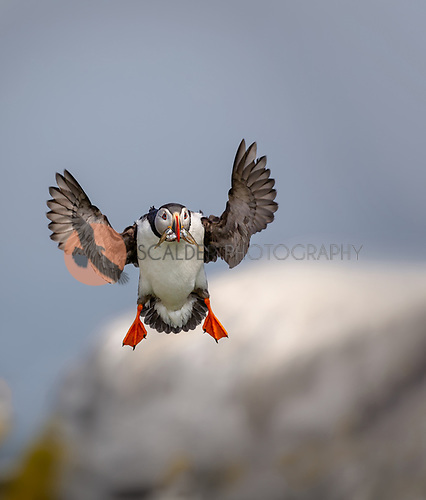 The Atlantic Puffin are brightly colored only during breeding season and since breeding season is the only time they are visible it works out perfectly for photographers! Posted February 2nd, 2019 by Sandy Calderbank. The Mute Swan is apparently an introduced species from Europe to North America. They are one of the heaviest flying birds and can weigh 30-32 pounds! 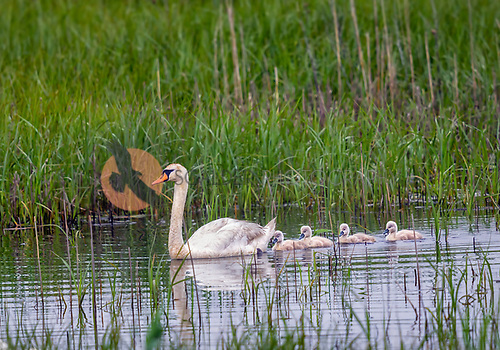 I found this adult with four cygnets swimming behind him or her at Bombay Hook Wildlife Refuge. These babies can’t fly for five months so the adults better plan ahead so the family can get out before the water freezes! Posted January 28th, 2019 by Sandy Calderbank.